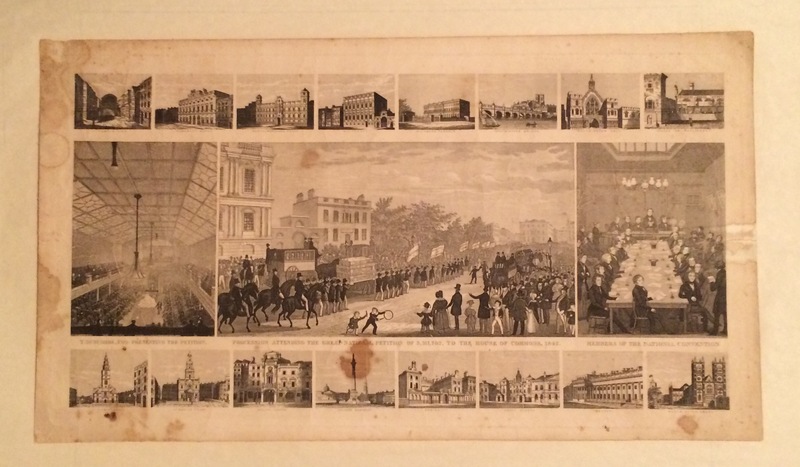 This print given away by the Northern Star shows the 1842 petition along with images of the Chartist Convention, its presentation to Parliament and London scenes. One of the facts everyone knows about the Chartists is that they presented three petitions to Parliament. But they didn’t. There were actually four national Chartist petitions calling for the adoption of the Charter, one national initiative to collect signatures on a large number of local petitions, and one enormous petition seeking the release of Chartist prisoners. 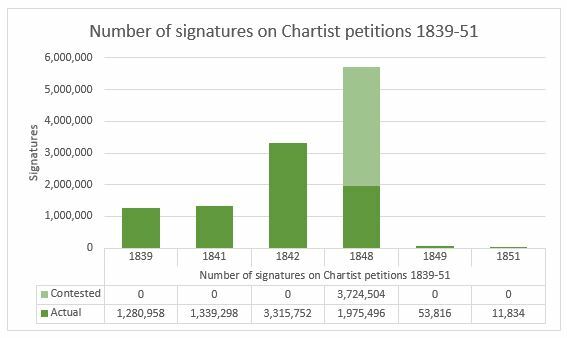 The chart below shows the rise and fall in support for the Chartist cause, with 1848 highly contested – Feargus O’Connor having claimed (against the advice of other activists) that it contained 5,700,000 signatures while the parliamentary authorites put the number at no more than 1,900,000. These links go to separate pages on each petition.